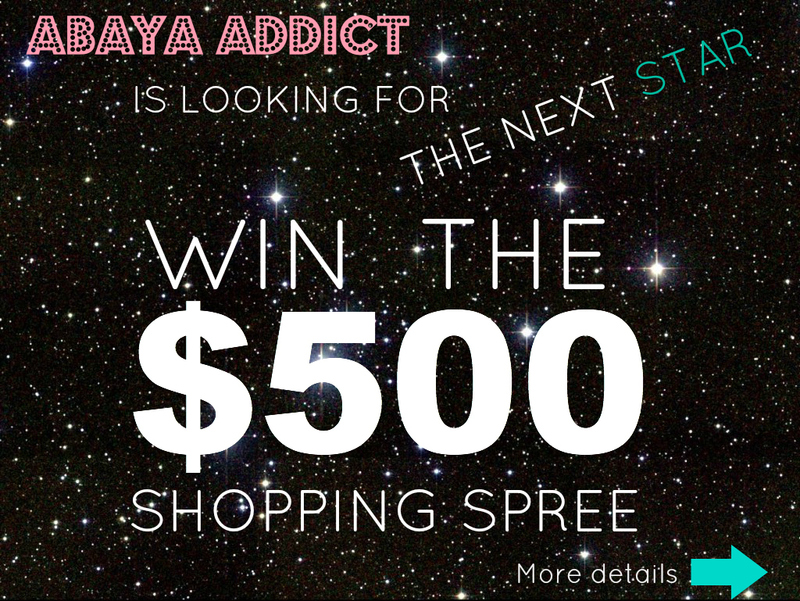 Contest Description: ABAYA ADDICT fans will be given the opportunity to create their very own short ABAYA ADDICT video for a chance to win a $500 SHOPPING SPREE on http://www.abayaaddict.com. Contestants should create a short 30second-2 minute video showing off an ABAYA ADDICT item in a creative way (OOTD, scenic videography, etc). Honorable Mention: (2 winners) free silk scarf. ▪ Videos cannot be longer than 2 MINUTES. ▪ Must HASHTAG #AbayaAddict in the video. ▪ Contestant must say, “I’M AN ABAYA ADDICT,” somewhere within the video in order to qualify for prizes. ▪ For sisters who prefer not to show their faces, they must find a creative way to incorporate live footage of themselves and their ABAYA ADDICT item into the video. ▪ A short 10-30 second HIGHLIGHT video must be sent to: info@abayaaddict.com. ▪ Contest will end November 7, 2012 at 11:59 p.m.
▪ Once videos are submitted, ABAYA ADDICT has the right to use any part or whole video in our next AD campaign, YouTube video, or on the FB page.